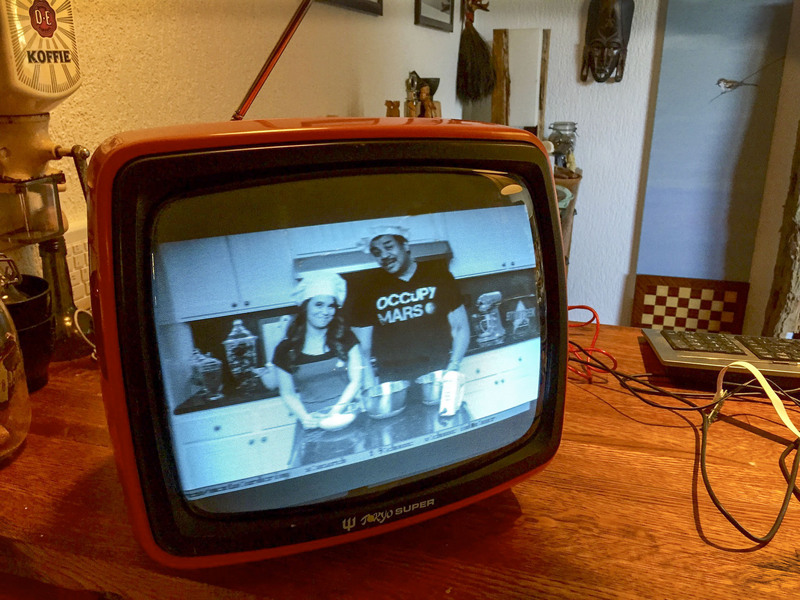 RetroCasting with a Raspberry Pi - OiePoie! 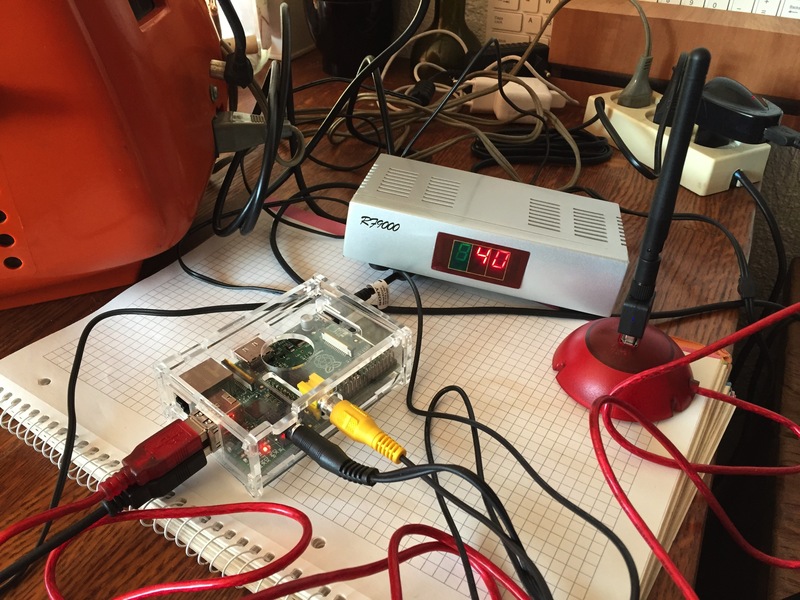 RetroCasting with a Raspberry Pi - OiePoie! A couple of weeks we went to Maastricht were we stayed in a very nice design Hotel: TownHouse Hotel. There was a very nice ambiance which made us feel at home. The foyer was more like a large living room and next to the hammock there was an old portable TV which displayed content from the cable. Back at home we bought a similar orange portable TV, which stood really nice on the bar in our orange kitchen. The next step was of course to get content on the screen, so extending the TV cable and having nothing interesting on the telly or doing something differently. The Raspberry Pi has a video output (CVBS) on an RCA connector. When combined with an UHF modulater, this would provide the right signal to feed into the antenna input of the old TV. I bought a RF modulater of ebay, they are very cheap. . One thing, this RF modulator is for PAL (Phase Alternating Line) video, if you live in the States, you’ll need something which supports NTSC (Never The Same Colour :). Once u start using the modulator, you will need to configure the audio subchannel frequency, in the Netherlands thats at 5.5MHz (PAL B/G standard). Now for configuring the Pi. Lets assume you have got one up and running (tutorials are all over the Internet). The software i used is whitey which can display youtube video’s in console mode (so you don’t have to mess around running X-Windows). 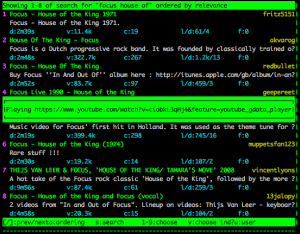 That should give you a text screen with youtube video’s. Now try to play one by entering the number of your choice. If you used the HDMI connection on you Pi during this setup, do a shutdown and disconnect the HDMI and connect the RCA video out connector to the RF modulator. Also connect sound to the modulator (you will need a conversion cable for that). Next switch on the Pi and the RF modulator. 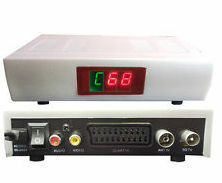 Select a channel, connect to your TV and tune into that channel. On my TV the text is barely readable, but still enough to give you an indication of whats going on. 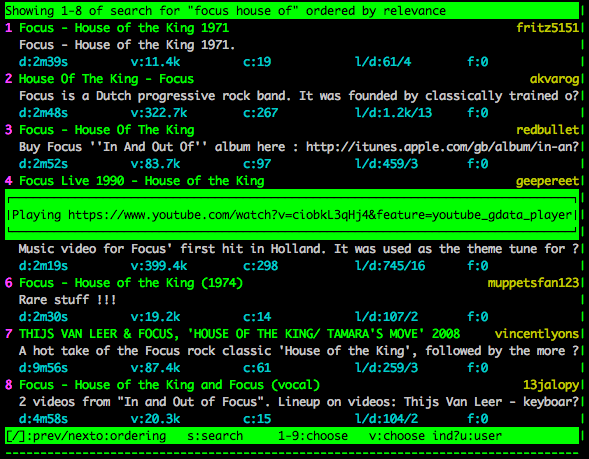 And now you can search and play the youtube vid’s from here while they get displayed on your retro TV. Hi Thijs, I programmed the channel on the RF modulator so i know where i broadcast, on the telly i select the band where the channel is in and then manually tune until i get the signal. If you don't get any picture, you could try adding a antenna amp to the RF modulator to boost the signal.